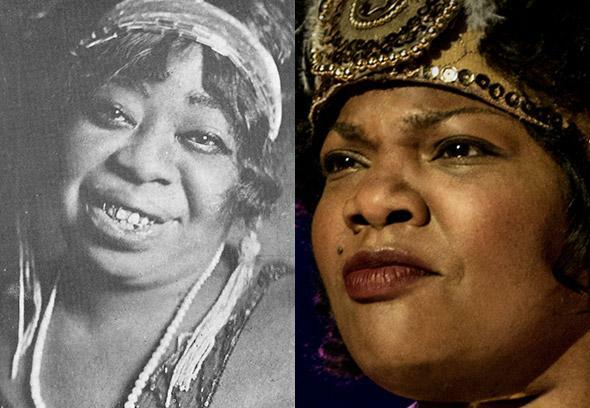 Bessie HBO accuracy: Fact vs. fiction in the HBO biopic of Bessie Smith, the Empress of Blues? 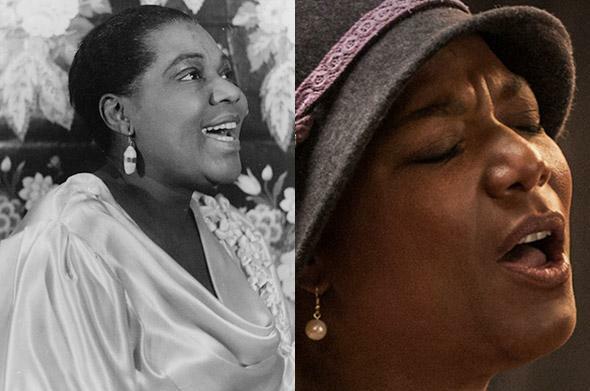 Queen Latifah as Bessie Smith. 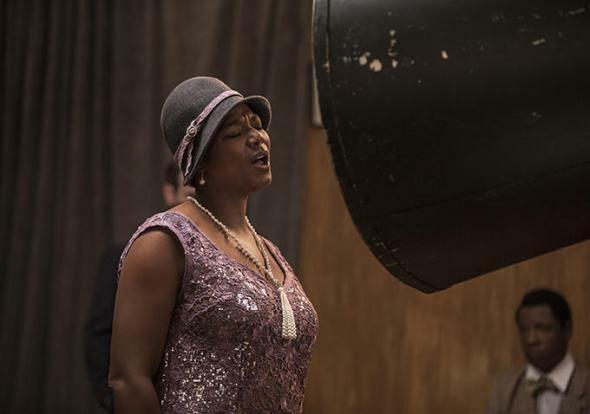 Bessie, HBO’s new biopic from writer-director Dee Rees, tracks Bessie Smith’s rise to fame as the Empress of Blues—and delivers stunning performances from starring actresses Queen Latifah and Mo’Nique. But how accurate is this interpretation? To find out, I thumbed through several sources, including three biographies: Blues Empress in Black Chattanooga: Bessie Smith and the Emerging Urban South, Bessie, and Queen of Blues: The Life and Times of Bessie Smith. Overall, the movie stays true to the emotional core of Smith’s story, but not necessarily to all the details as they happened. Smith was originally from Chattanooga, Tennessee. Her father, William Smith, died when she was a baby, and her mother, Laura Smith, died when she was nine. Smith’s oldest sister, Viola, took over raising Smith and her four other young siblings—Tinnie, Lulu, Andrew, and Clarence, who is seen prominently in the movie as he travels with Bessie. The most striking departure the movie takes is with respect to Smith’s sister, Viola. Viola comes across as cold, even vicious, and the relationship between her and Bessie appears fraught, at least at first. When we see Viola and a child-aged Bessie in flashbacks throughout the movie, it’s unclear whether Viola is her caretaker or her abuser—she yells and chases Bessie around a house as Bessie wails with despair for their mother, presumably soon after her death. We hear a voice, which seems to be Viola’s, saying “It’s your fault Momma dead.” But I could find no record the sisters having a notably bad relationship. In Blues Empress in Black Chattanooga, Michelle R. Scott writes that the entire family experienced “some angst” when Viola assumed a position of authority and responsibility in the wake of their parents’ death. But nothing out of the ordinary seemed to follow, and Albertson notes that Smith even promised that once she had the means, she would move the entire family up from Chattanooga to be with her—a promise she eventually kept, both in real life and in the film. In the movie, Ma Rainey becomes the catalyst to Smith’s rise to fame after Smith sneaks onto Rainey’s train car and asks to join her show. But in reality, Smith met her at the young age of 14, when she joined the Moses Stokes company—her brother Clarence, who worked for the company, got her the audition. Rainey took a liking to Smith and took her under her wing. It’s unclear whether or not Rainey and Smith ever had a fight similar to the one in the film that spurred Smith’s solo career, but the quiet joy we see Rainey display as she dances to Smith’s record later in the movie is consistent with an account Albertson obtained from a 1971 interview with Rainey’s accompanist, who said he couldn’t recall Rainey ever taking credit for helping Smith—despite relatively widespread recognition that she had been an almost maternal mentor. Smith and Gee were routinely unfaithful to one another throughout their marriage, and their fights often got violent. As Smith’s fame grew, Gee became enamored with her money, called himself her manager, and often slapped a “Jack Gee presents” label on her signs—just as he does with her train in the movie. The tension shown between Gee and Smith’s family also seems true to reality. Smith was bisexual in real life, as in the film. She had several affairs with women, but the movie’s female love interest, a character named Lucille, appears to be a composite of at least a couple people. She could be a mixture of Smith’s close friend and niece by marriage, Ruby Walker, and a woman named Lillian Simpson, with whom Smith had an intense affair. But the tenderness Smith consistently shows Lucille in the movie is not completely true to Smith’s relationship with Simpson, at whom she once shouted, “I got twelve women on this show and I can have one every night if I want it.” In the movie, Smith was also with Lucille before she met Jack—not so with Simpson. 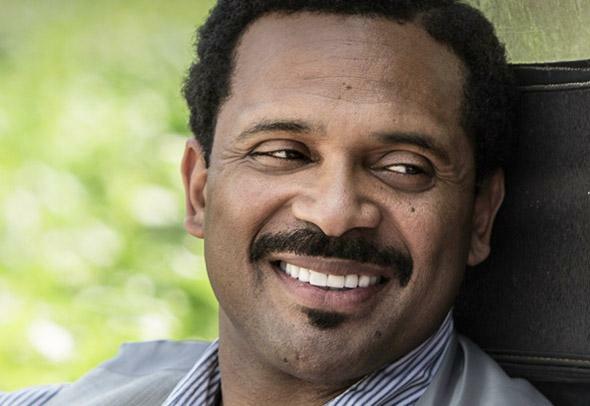 The mutual care in the relationship seems very similar to the protectiveness Smith felt toward Walker, whose departure from Smith’s life occurred around the same time in real life as Lucille’s does in the movie. In the movie, Lucille leaves a married Smith behind to get married herself, very shortly before Smith’s marriage falls apart. In real life, Gee drew his niece away from Smith after their marriage ended—by bribery or force, depending on whose account you read. Although Smith was known to have affairs with both sexes on the road while she was married to Gee, she generally tried to conceal them. Albertson writes that when she visited buffet flats—privately owned clubs that offered all sorts of illegal and illicit entertainment—Smith usually stuck to voyeuristic watching, rather than participating, lest word get back to Gee. But she did finally get caught, when Gee caught her in the act with a young dancer named Marie. This is not, however, what ended the relationship. As in the movie, Smith and Gee’s marriage disintegrated when Smith found out Gee had been using her money to fund his mistress Gertrude Saunders’ show. Smith had informally adopted a son—a six-year-old boy, who she had named Jack, Jr. Even Jack Gee had welcomed the addition at first, according to biographer Jennifer Warner in Queen of the Blues: The Life and Times of Bessie Smith. But, Warner notes, Jack, Jr. soon became the rope in a horrible game of tug-of-war—at least to his adoptive father. Gee really did kidnap Jack, Jr. from Smith’s home. Smith’s affair with bootlegger Richard Morgan is not fiction—the two started their affair while she was married to Gee, and it continued after that marriage fell apart. Their relationship was far less stormy than Smith’s marriage to Gee, and although there were fights, Albertson notes they never turned violent. 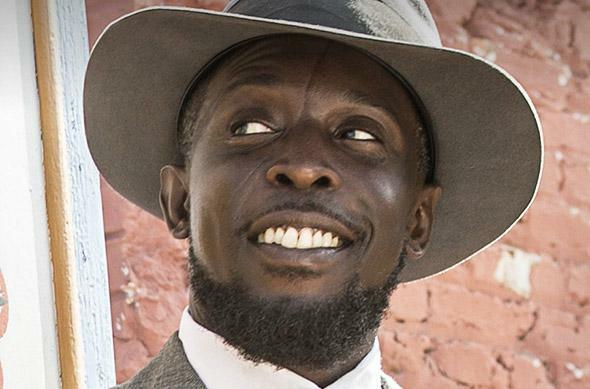 Morgan was with Smith during the car accident that killed her—an ending Bessie director Dee Rees chose to eschew for a more uplifting final scene. However, the sight of Smith and Morgan sitting in the back of a truck and talking about what’s down the road is much more ominous when you know how she died.